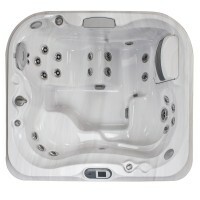 The J-495TM is an 8 person hot tub featuring 62 PowerPro® jets, and is the largest hot tub of the Premium line; its roomy, ergonomic and offers extraordinary hydromassage qualities. 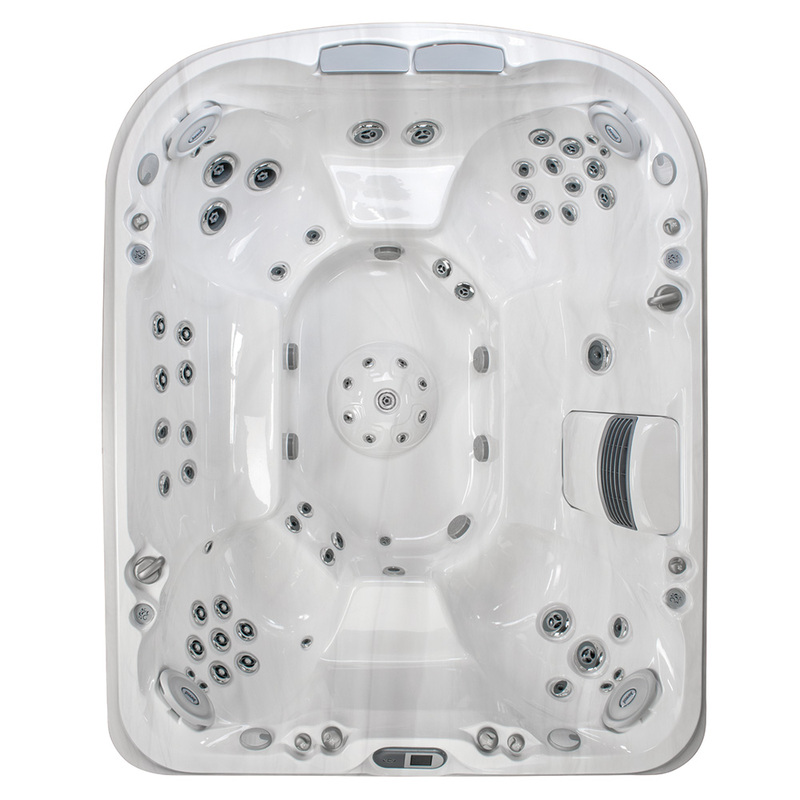 It's the only Jacuzzi® spa available with three pumps that give it the power required to provide each seat with a customisable hydromassage. There are several waterfalls and controls on the spa deck to adjust the airflow, the quantity of air, its intensity and the direction of each single jet. The J-495TM is provided with the ProClarityTM filtering system, CLEARRAYTM technology, stereo system and a light that indicates its operating mode. Moreover, the SmartSeal® coating prevents dispersions, protects the spa and promotes energy savings. 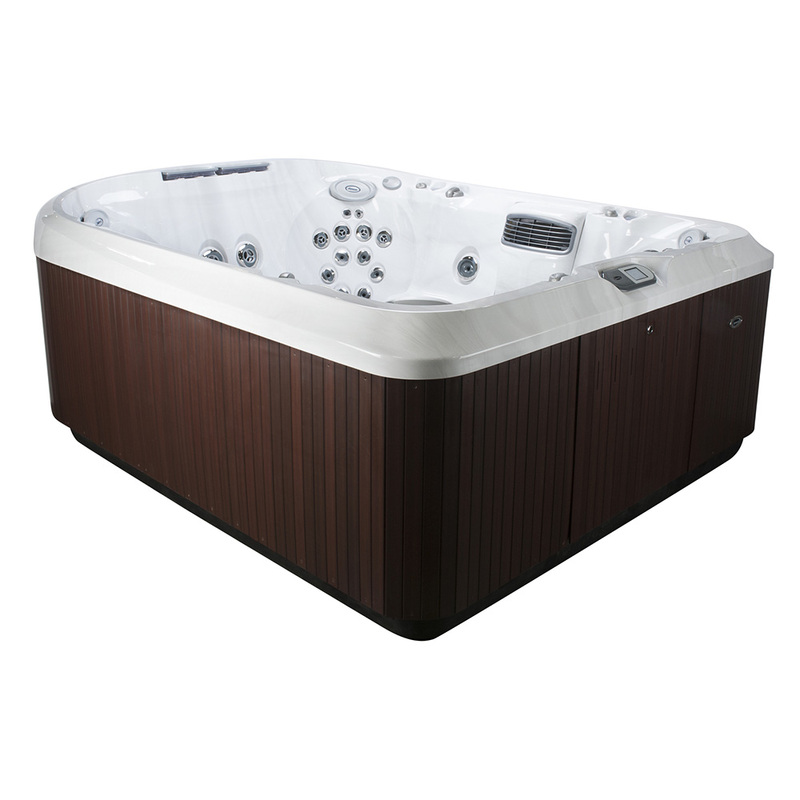 This 8 person hot tub really makes your hot tub experience one of complete luxury and relaxation  every detail has been thought of with you in mind. 5 Years Covers/Panels: Jacuzzi® hot tub covers and panels are warranted against defects in workmanship or materials for five years from the original date of purchase. Normal wear and weathering of the finish will occur naturally over time, and are not defects. 4 Years Plumbing Components: Jacuzzi® spas’ plumbing components are warranted against leaks due to defects in workmanship or materials for four years from the original date of purchase. J-415TM has 3 seats including a lounge: it's very easy to get in and out of this model jam-packed full of features regardless of its compact size; it's just perfect for any type of utilisation and for users of all ages. The original design that distinguishes J-415TM is without the raised backrest that is typical of the collection. This makes entering the spa easier and facilitates installation in smaller spaces. The Water ColourTM waterfall provides additional excitement to the hydromassage experience provided by 21 adjustable PowerPro® jets. It is fitted with the ProClarityTM filtering system and provided with CLEARRAYTM technology and the SmartSeal® coating that prevents heat dispersion and, consequently, reduces consumptions. DESIGNER EMPTY NESTER PATIO HOT TUB.. In addition, if you wish to share feedback with us about product selection, pricing, ordering, delivery or other customer service issues, do not submit this feedback through a product review. Instead, contact us directly.